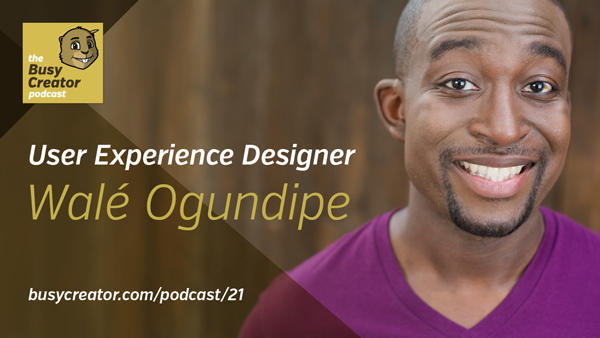 Walé Ogundipe (@kopasetik) is a user experience designer who has worked in a variety of creative professions including the music industry, broadcasting, marketing, film & video, and now online and mobile application development. Lately, he’s been involved in several hackathons and embraced the philosophies if fast iteration and design sprints towards building apps for web and mobile. In this conversation, we discuss how Walé arrived in User Experience, the point of view that a UX design takes when approaching a problem, and some books that we should all read for a better understanding of business and design. Uses for Hi-Fi Lighter include journalists, academics, etc. Bibliography formatting: MLA style, APA style, etc. “Bite-size project”, aka Design Sprints, can be healthy within the design industry. Take a “cheat day” for other aspects of your life. Have time to relax.